It's easy to see how the 48" Amare Vessel Sink Vanity can create a new look for your bathroom. 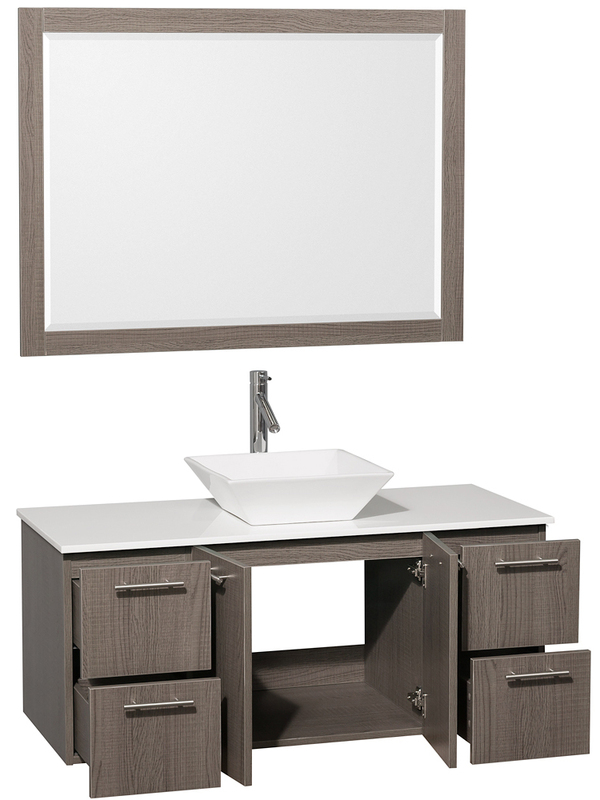 With its Grey Oak finish and spacious acrylic resin integrated top, this vanity makes the most of the space it occupies. 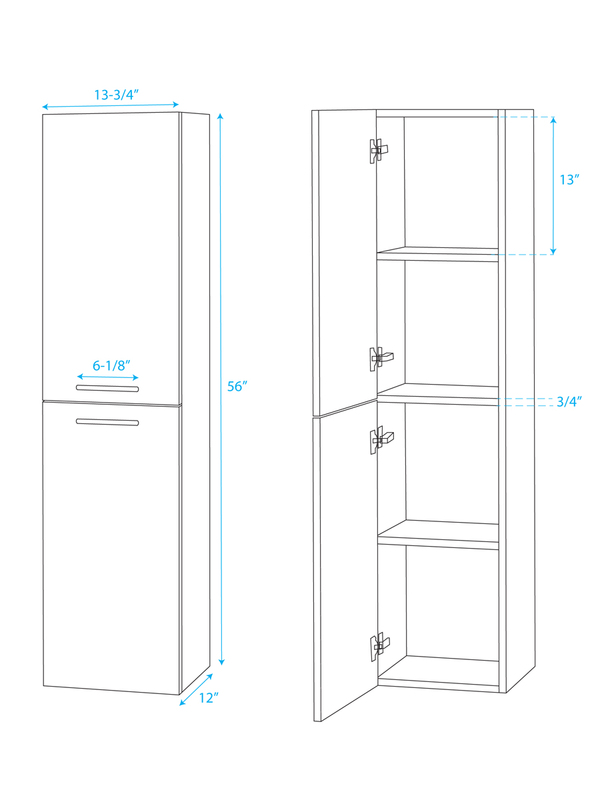 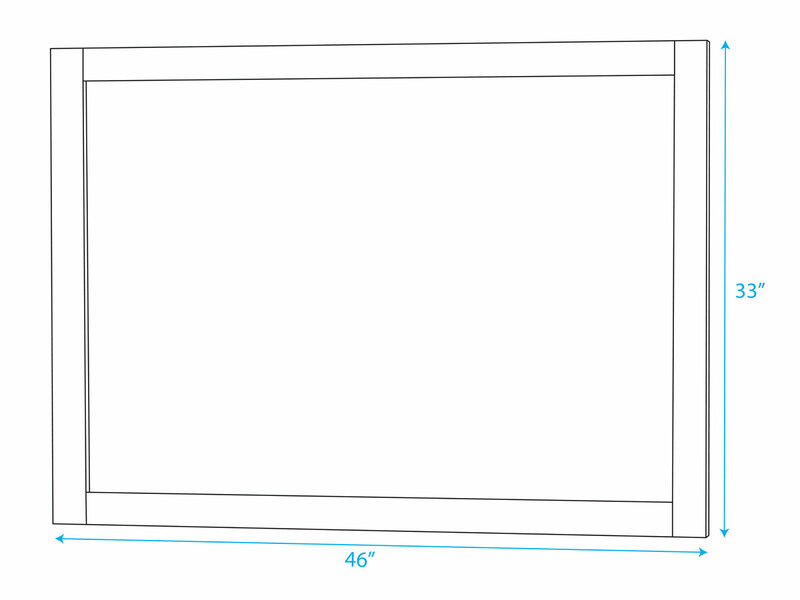 Four drawers, with a double-door cabinet offers plenty of storage space. 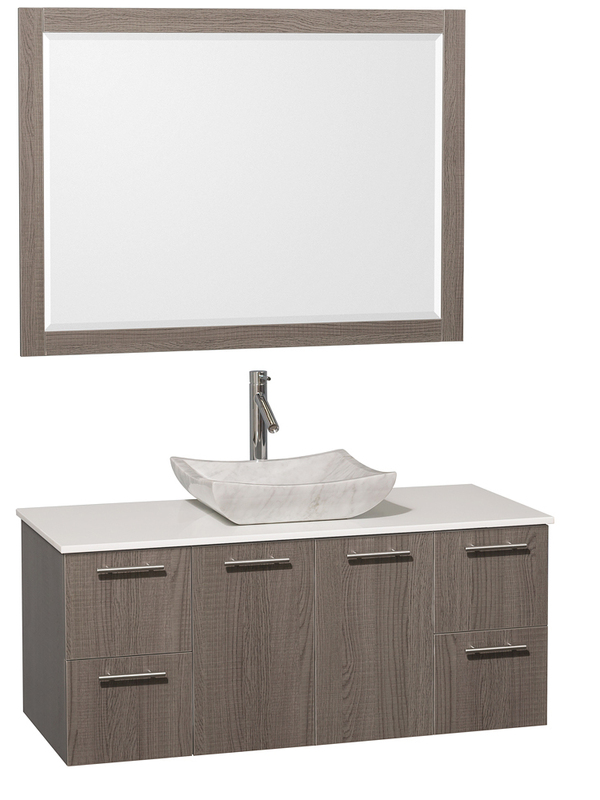 Each drawer front and cabinet door is adorned with a Brushed Chrome handle, allowing for easy access. Its matching mirror adds additional function to your vanity. 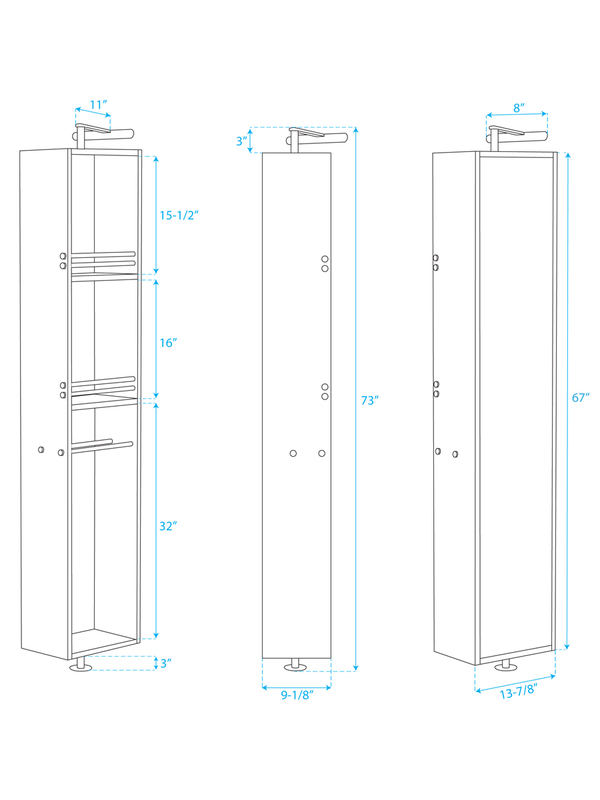 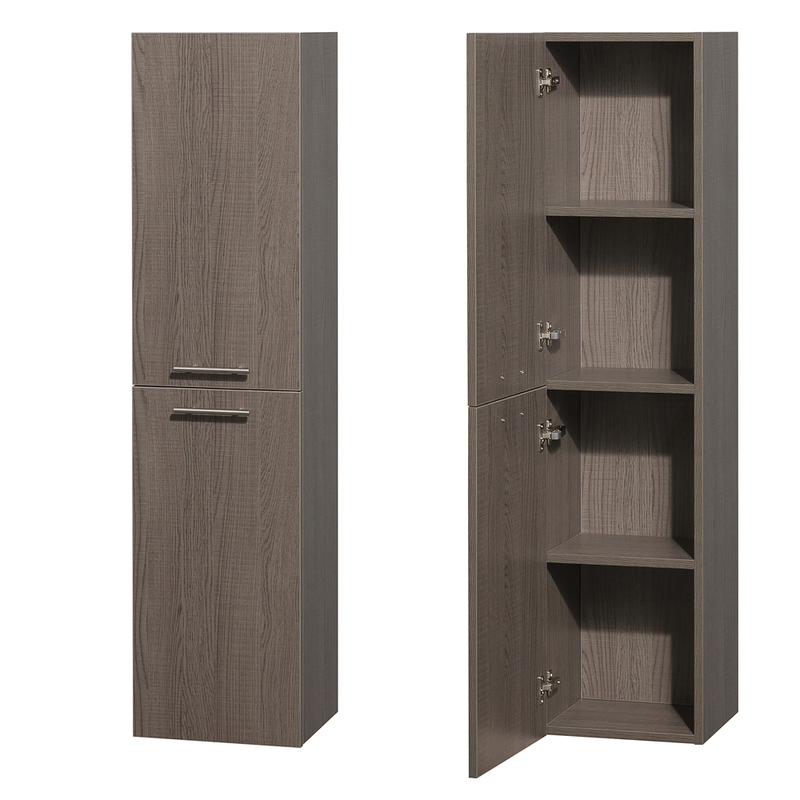 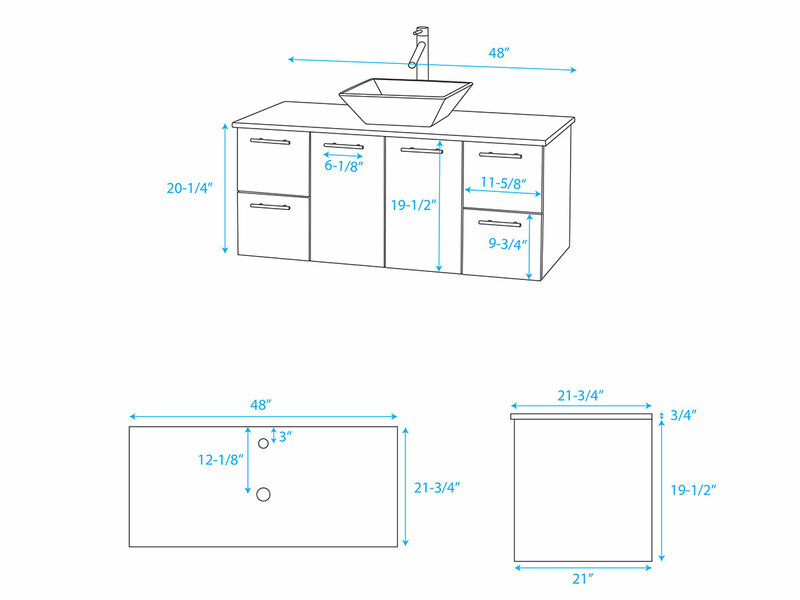 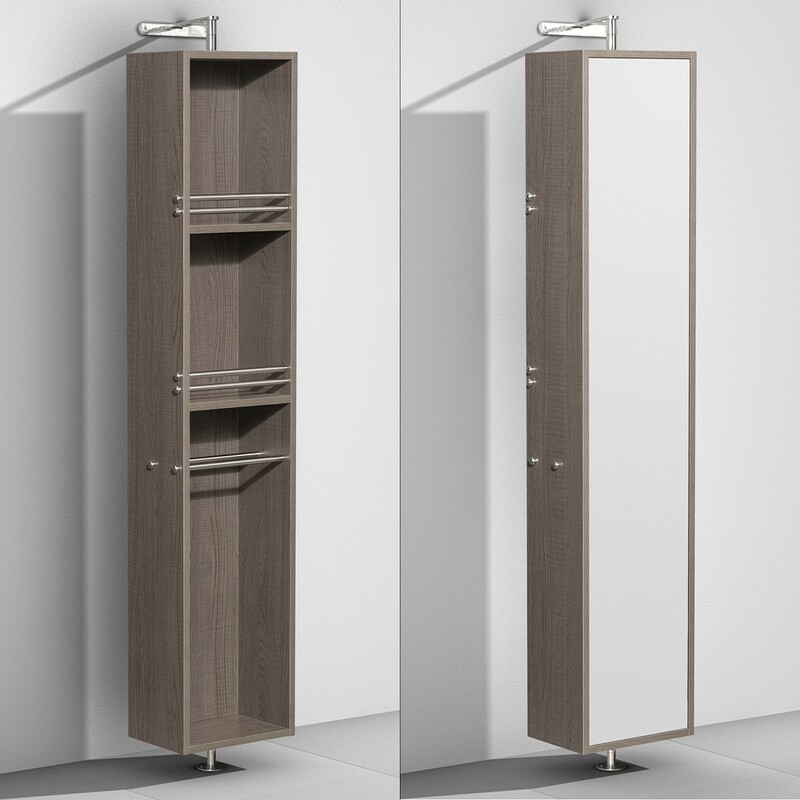 Give your bathroom additional storage room with one of its optional side cabinets!